David Hunt Lighting British made Garbo 2 light wall fitting features elegant arms in a bronze finish, complete with cream cylindrical shades. 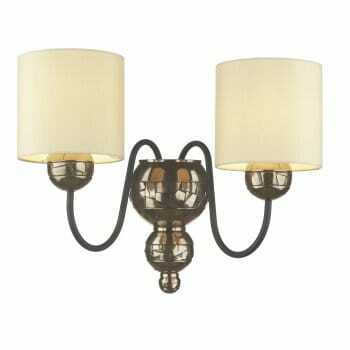 The product code for this David Hunt wall fitting is GAR0915. This stunning classic fitting will add an elegant look to decor within your home and the bronze finish compliments the dream shades perfectly.